Ice hockey is a team sport that is played in an ice rink. It originated in Canada, where it is hailed as the country’s national winter sport. This contact sport is also very popular in the United States, Russia, the Nordic countries, and Eastern and Central Europe. Given its popularity in many countries, a set of international ice hockey rules were established. Before we talk about that, though, you need to learn about its players first. And to understand what each player does for the team, you need to learn what the game is all about. The objective of hockey is to hit the target, which is a small puck, and let it glide across the ice before placing it into the goal using a hockey stick. Each time the team hits the puck into a goal, they get one point. The players can pass the puck around, and the opposing team has to keep them from hitting the goal and scoring. Obviously, the team with the highest score at the end of the game wins. In case the game ends with both teams having the same scores, the game will be extended or go into overtime. During the overtime, the first team who scores wins the game. The game requires two teams with six players each, with five players in each team skating up and down the rink trying to take the puck into the goal. The sixth player is the goaltender, who guards their team’s goal and prevent the opposition from scoring. The goalie is probably the toughest ice hockey position. In fact, it is the hardest role to play not only in hockey but in most goal sports as well. The job of the goalie is to prevent the opponents from taking the puck to the net. Goaltenders must stay within the half circles surrounding the goals and may not pass the red line in the center. In ice hockey, each team has two defensemen, which are positioned on both sides of the rink. They are set to be either defensive or offensive—whichever way they can help the team win. The right wing mostly works on the right side of the rink. He is the one responsible for the opposing team’s left defenseman and is generally a physical player. Traditionally, this position is usually taken by left-handed players. However, these days, more and more right-handed players are playing this position because right-handers have a much better angle in shooting from this wing. The center must be creative and smart. He must be good at passing and face-offs and would be great if he’s a good shot too. 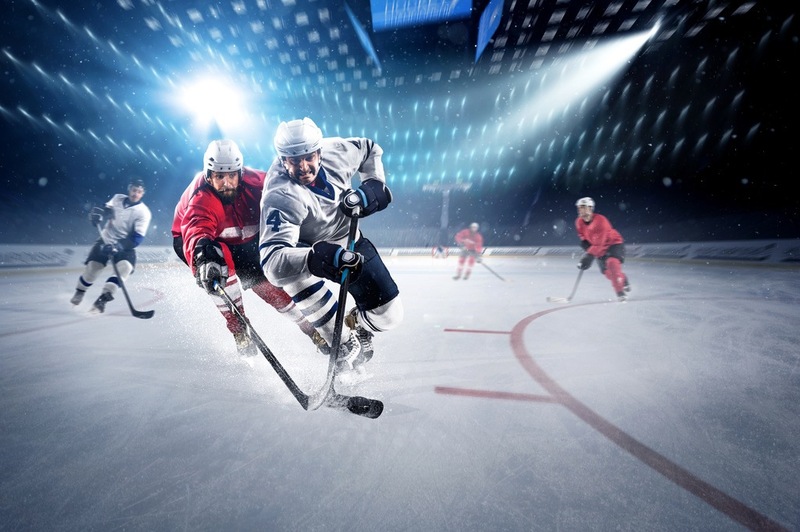 Ice hockey is played in an ice rink, which measures 61 meters by 30 meters and is then split into three sections. The two end zones are the attacking and defending zones. In each of these zones are two end zones with half circles surrounding the goal. The middle section is the neutral zone where the game starts. Each hockey player holds their hockey sticks and is equipped with safety gear like shoulder pads, helmet, face masks, and ice skates. Goaltenders are more heavily protected compared with other players due to the intensity of their play. There’s a maximum of 20 players for each team, but only six players are allowed to play at a time. The rest of the team are substitute players who can come and go as needed. The players, except the goaltenders, can freely move around the rink. In the game, the main objective is to hit the puck and send it into their respective goals. The puck is a dense disk that is made with rubber, which is hit by the players with hockey sticks or even by foot. The players are not allowed to hold the puck. A score is counted once a player hits the puck to the goal. This can be done using the stick or any part of the body except the hands. To be considered a goal, the puck must completely cross the goal line. How Long Is an Ice Hockey Game? With all that’s happening in the rink, you may wonder, “how long is an ice hockey game?” In NHL, a game features an hour or 60 minutes play time. However, it usually takes a bit longer because of intermissions, breaks, and overtime. The 60-minute play is divided into three periods with 20 minutes each period. NHL also has a mandated mandated 17-minute intermission after the first two periods of the game. Players and spectators are informed about the time frames with the score clock. In an average, a game of ice hockey lasts for two hours and 19 minutes, since NHL wants to keep the games reasonably short to avoid fans from waiting for excessive periods. Overtime periods are set to five minutes. If no team scores within that time, there will be a three-player shootout in which there will be no time limits. The hockey game starts with a face off, which takes place in the centre circle of the rink. During the face off, the referee lets two players—one from opposing teams—to scrap the dropped puck. Players are allowed to play physically or employ physical force in order to steal the puck from their opponents. In case a player has committed an offense, he will be ordered a two-minute break from the game, with his team playing with only five members in the penalty duration. In case the opposing team scores within the two-minute penalty, the player charged with an offense can immediately go back to the game. Minor offenses include holding another player with hands or stick, tripping another player with the stick, or body checking a player who is not with a puck. Major offenses include inflicting injury on opponents, fighting with other players, and continuous minor violations. These offenses will result in a five-minute removal from the game. Like any other game or sports, it is necessary to learn the basic rules of ice hockey to be able to understand the game fully. 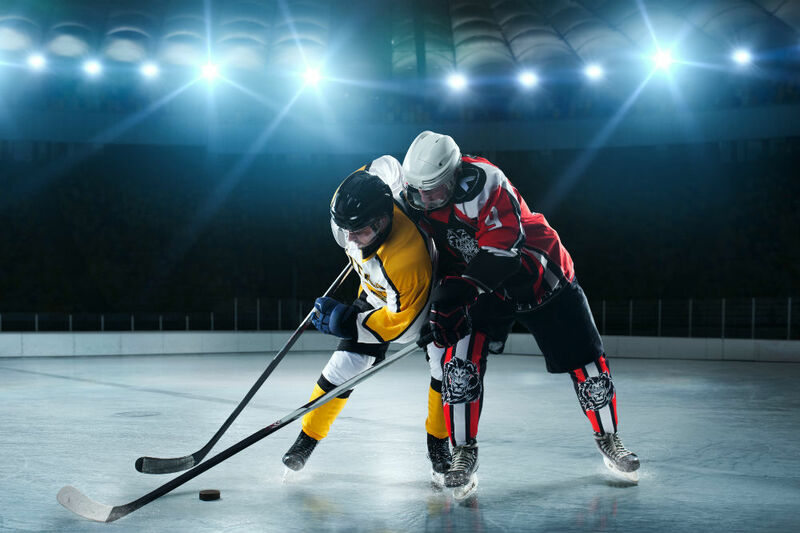 Ice hockey is a fun and exciting game, and although it is a contact sport, you also need to be smart and follow the rules. After all, ice hockey is not only a game that requires brawn; you need to use smart strategies to excel in this sport.